50+ Seeds (Larger sizes available). Lion's Ear is an excellent, super magnet for Hummingbirds as the flowers produce copious amounts of nectar which also attracts Birds, Bees and Butterflies. The Hummingbirds will sip for longer than normal periods from one flower. Each Tubular Flower is a Hummingbird?s Banquet . . . And, The Hummers keep coming back to the Pretty Orange Flowers all day long. 50+ Seeds. Lion's Ear (Leonotis nepetifolia), AKA: Devil's Pincushion (similar to Lion's Tail) (germination and growing instructions included, as always). Larger pack sizes are available, see drop down box near top of page to select larger sizes. Lion's Ear is an excellent magnet for Hummingbirds as the flowers produce copious amounts of nectar which also attracts birds, bees, and butterflies. 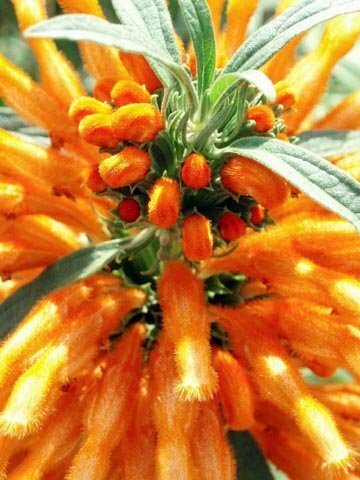 Lion's Ear, from South Africa, is a robust tender subtropical perennial in warm climates growing 4 to 6 feet tall. The stems are strongly angled (square in cross-section) and the leaves are in pairs opposite each other. 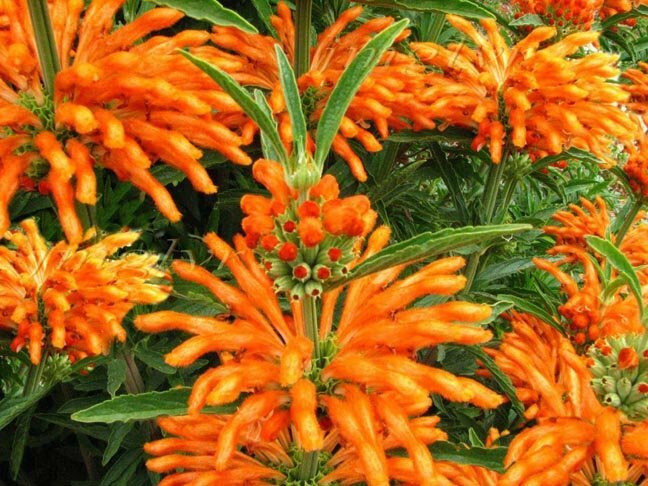 Lion's Ear is very easy to grow and prefers Full Sun to intermittent shade, and will do best in well drained loamy soils with plenty of compost added. 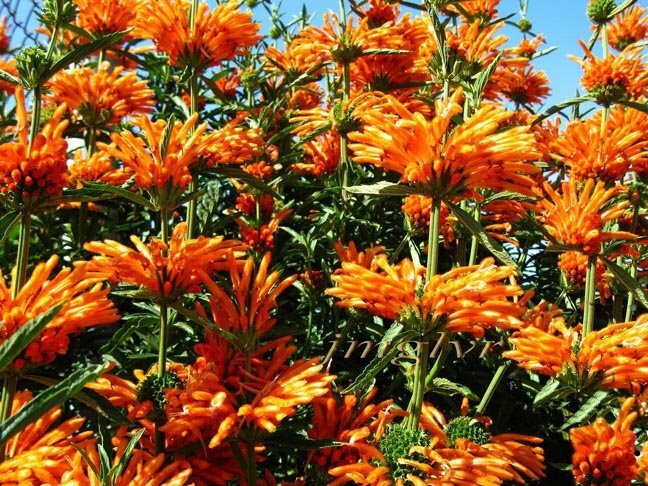 Lion's Ear grows rapidly and vigorously in the summer with regular watering, but still hangs on during drought. Once established, they require little extra irrigation except in containers or extremely well drained soils. This plant will look its best if dead flowers are trimmed and will still easily put on new growth and blooms. It is especially attractive when planted in groups. Hardy in Zones 10 and above. Cooler climates can grow this outstanding plant as a self-seeding annual.